Have you heard of Ali Edwards? She’s a scrapbook designer. 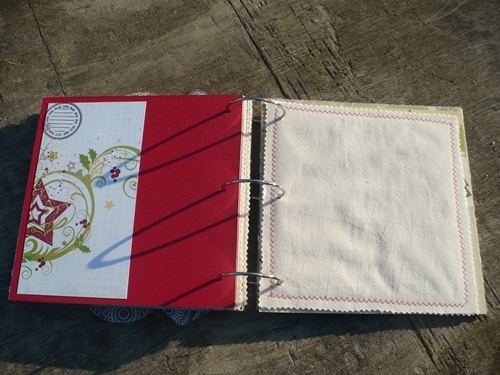 You may have seen her in Creating Keepsakes. 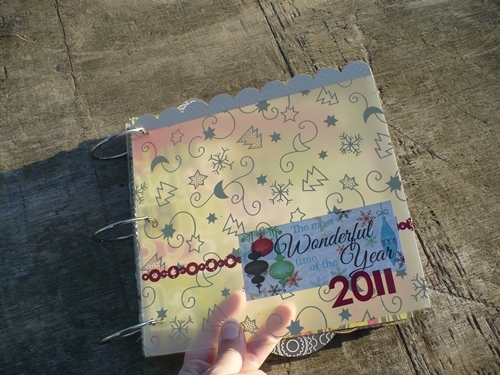 She has her own website/blog etc now and every year she does a scrapbook with a page a day for Advent. Here’s a link to Ali’s foundation pages (part 1). This year I’m playing along too. So here are my December daily foundation pages, ready for 1st December. I can’t wait!!! 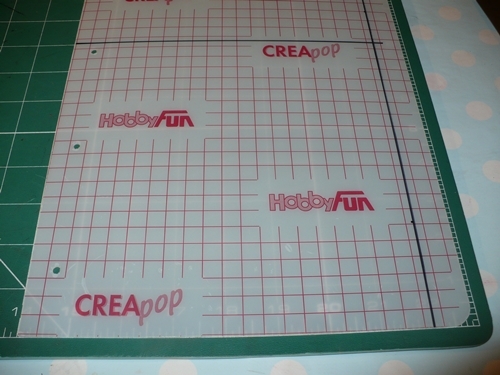 I actually made the covers of my album using a sort of stiff sticky back film/plastic from hobby fun. 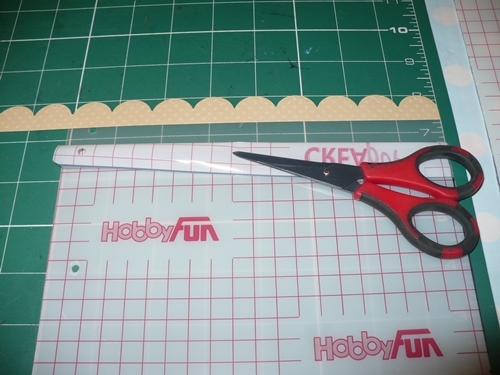 I cut the covers to 8″x8″. I made a small mistake in lining up the holes, so i added a border str. (shhhhhhhhhhhhh). 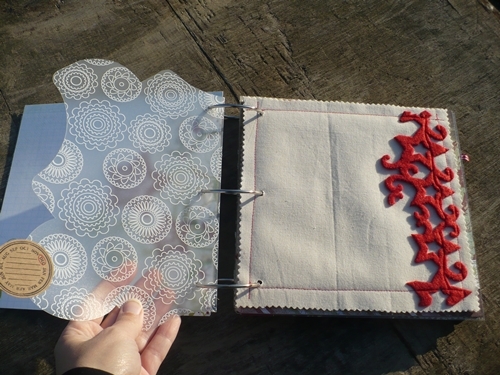 Cover the covers with translucent fabric and decorate! 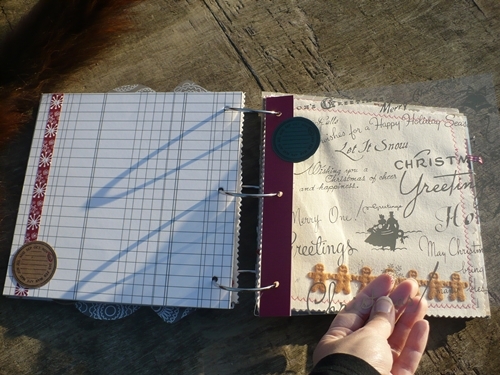 I have various types of pages. 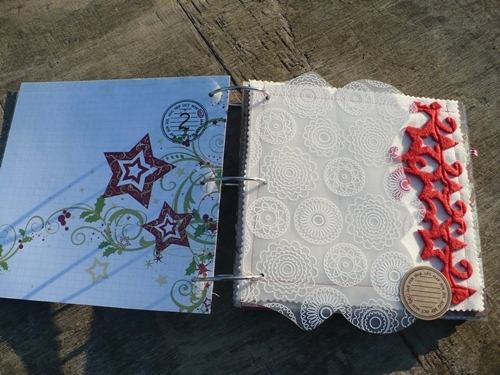 Covered chipboard, cardstock back to back, acetate or similar clear pages and some calico ones that I made on the machine. 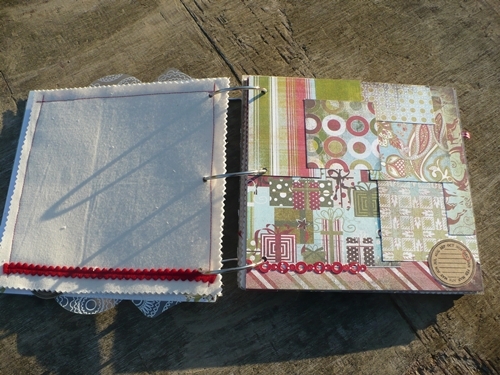 They are backed with iron on interfacing and stitched back to back. And here’s the finished pages. Of course they are very plain now. I have learnt from doing holiday (That’s vacation if you live on the other side of the pond!) 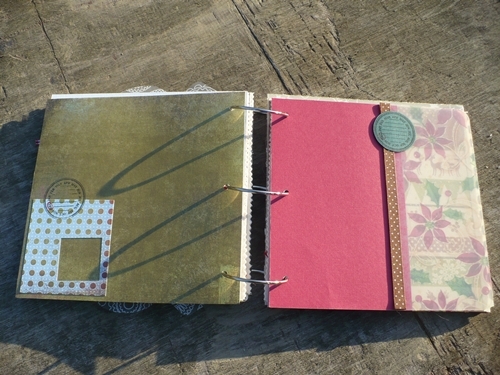 journals that if you put too much in at this stage you like it less later! I’m using that same circle stamp for the day number on each day. (But right now they are blank except Day 1 and 2 because I wanted the numbers to start with, and I’m indecisive so I want to be able to move the rest around.) 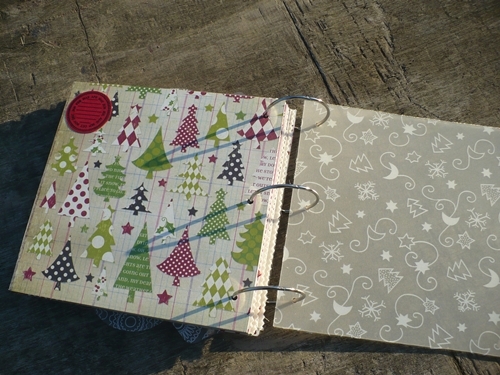 Day 1 is a cardstock page. I’m only allowing one single page a day BUT I expect to be adding additional pages (maybe just 6×4’s back to back) in between them as required. ‘Day 3’ is a tranlucent plastic sheet with a snowy pattern. I *think* the red felt ‘ribbon’on day 6 was in an advent calendar from Laura the year before last but maybe from Vee last year??? 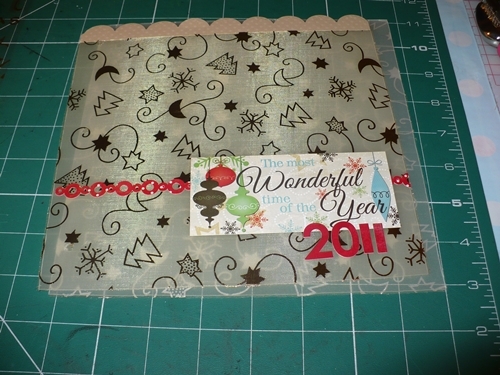 Day 7 is scraps on a chipboard page. 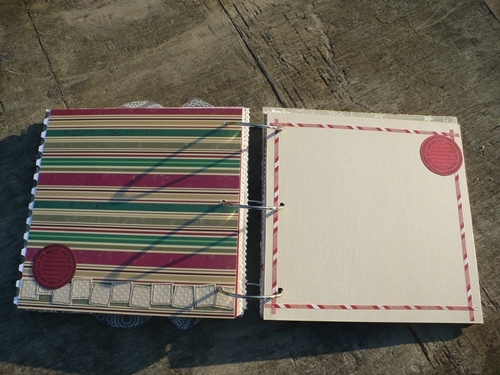 Day 8 is of course card stock on the back of the chipbaord. 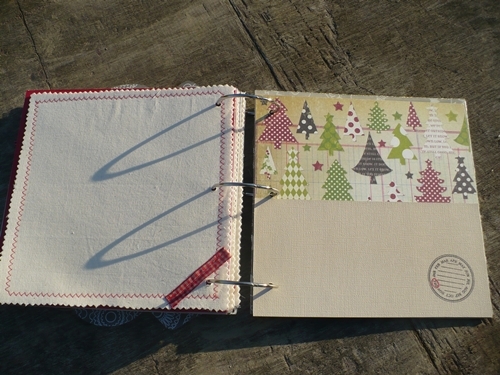 day 9 is a clear hambly screen print page with a cardstock spine for strength. Day 10 features the ‘sinister’ self adhesive gingerbread men that you might have seen in last years album. I think they are Queen and co.
Day 14 is cardstock and a left over piece of that film stuff from hobbyfun covered with diferent fabric. This is actually the back of the film and fabric you can see. On day 15 you can see the fabric. Day 16 is edged cardstock. On day 17 you can see I left the stamp edge showing from the other side. I love this Ruth! It looks fabulous! I’m not sure what the concept is though – is it an advent book – scrap a day til Christmas or is it a collection of the last year’s highlights? 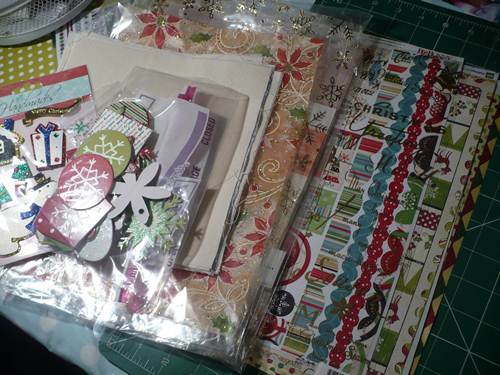 You’ve inspired me to get scrapping! Ok, I’m bring thick. You said it was an advent scrapbook! If I’d read it properly instead of rushing onto the pictures because I can’t wait to see them then I’d know! Love this!! 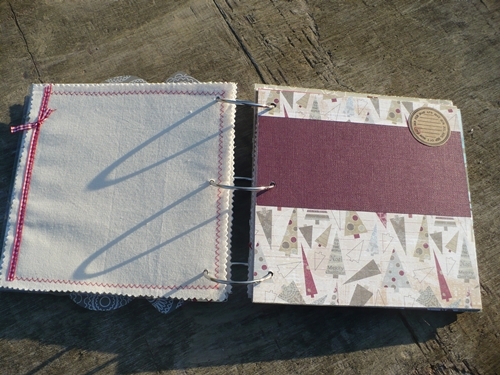 Love all the different pages……and textures! Super fun!! Thanks for sharing! Beautiful! I love your layout – and that cake?!? Amazing! I look forward to seeing more of you Daily pages this December. 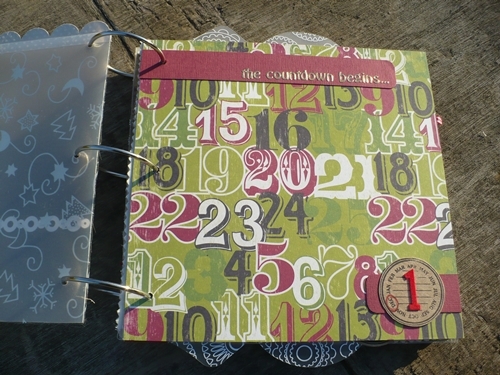 Love your numbers page and the use of transparencies. Will have to incorporate transparecies in mine. Love what you’ve done so far. This looks great! I am working on mine right now:) This is such a fun project! looks really nice. 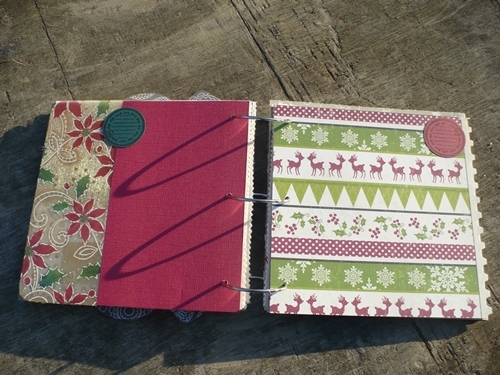 i like how you made your cover…so many great ideas come from this community of december daily people. i love it. 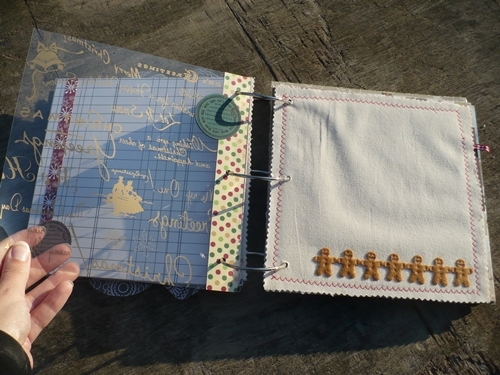 Ruth your pages are beautiful! Thanks so much for sharing them with us! Cool thing, love the cover!! !